Americans spend millions of dollars every year on bottled water. The industry is booming, but is bottled water really better for you than tap water? Mayor Gavin Newsom of San Francisco doesn't seem to think so. In an effort to reduce the city's spending and cut down on waste, Mayor Newsom issued an executive order banning city departments from buying bottled water. The ban isn't limited to individual bottled water; it includes water coolers as well. Individual bottles were eliminated on July 1, and the ban extends to water coolers on December 1. Other cities around the country are considering similar bans. Eric Goldstein, a Senior Attorney for the New York Natural Resources Defense Council (NRDC) explains why water that's equally as good - or better - than bottled water comes straight from your kitchen facet. The NRDC studied bottled water for four years. "We found that just because water is packaged in a plastic bottle, it doesn't mean it's any safer, purer, or better regulated than tap water here in the United States," says Goldstein. In fact, some bottled water is tap water. "One of the problems is it's hard to get information about bottled water," says Goldstein. "Two of the leading bottled water companies - Dasani and Aquafina... are really nothing more than tap water sent through a couple of filtering processes that in most cases are unnecessary." In fact, you may be able to see if your bottled water is really tap water by taking a peek under the bottle cap. Some caps say "bottled from municipalities", meaning, that bottle of water is actually tap water. Goldstein points out that tap water is highly regulated here in the U.S., while bottled water has less restrictions. "The U.S. Environmental Protection Agency sets tight standards for all kinds of contaminants, and the truth is that tap water in the United States is better regulated, better monitored... than bottled water," says Goldstein. If you're concerned about the quality of your tap water, it is possible to have a sample tested to determine if it contains dangerous levels of contaminants. "The best thing to do is look in your telephone directory for a water quality testing company and call them. For a relatively small amount, they will send you a little bottle, you can put your water in the bottle and send it off and they'll test it for you." Certain regions of the country may not have water that is fit for consumption. In parts of the Outer Banks of North Carolina, for example, tap water contains higher than normal levels of arsenic. Most sections of the U.S., though, such as New York City, have tap water that is perfectly safe to drink. "New York has some of the best water," says Goldstein. "Most municipal systems here in the United States have very high quality water." Some people choose to use a water filter instead of buying bottled water. However, "Most places do not need filters," says Goldstein. It all depends on your taste preference. A filter may alter the taste of your tap water, and some people prefer the taste of filtered water to unfiltered. According to Goldstein, "As long as it's a filter that's certified by the NSF laboratories, you're in good shape." 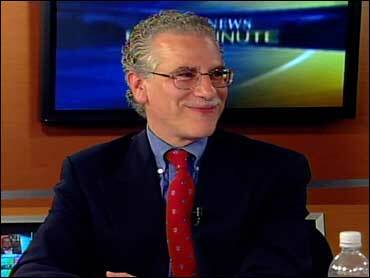 Goldstein stresses that people should use bottled water if there is a problem with their drinking water, but states that in most cases, "bottled water is an extravagance." If you suspect that their is a contaminant in your drinking water, call the Environmental Protection Agency's Safe Drinking Water Hotline at 1-800-426-4791. For more information on the NRDC's study on bottled water, click here.